Ninth-Dimensional Omega Dragons carry the divine feminine vibrations of Shekinah, the universal energy that created the world. 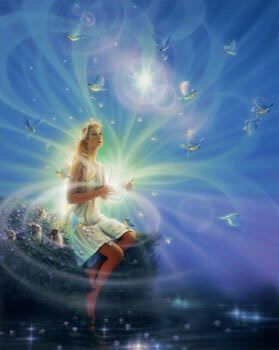 Shekinah is the counterpart to Archangel Metatron’s higher light and represents pure creative vision. These powerful beings are assisting the birth of higher consciousness on Earth. Collectively, they hold the vision for the New Golden Age and this will enable us to achieve the intentions set by Lady Gaia for the evolution of the planet. These beautiful silver-white Dragons will also help us hold a personal vision for the highest good. Every wish starts with a thought that is translated into a picture. These Dragons can see into our mind and will hold our vision with us. When an Omega Dragon comes to you, it is time to give birth to a special new project, pathway or aspect of yourself that has remained hidden. Call upon these Dragons to fill you with the power of the divine feminine. This will enable you to hold your vision and bring it to fruition in a wise, balance and Harmonious way. Most important of all, ask the Omega Dragons to look into the greatest desire of your soul and hold the vision of bringing it to manifestation. These Dragons can be any shape or size, so just still your mind and give them permission to merge with your energy. Ask them to soften your path and the path of all who hold the vision of the New Golden Age. My eyes are no longer mine. When I go searching for them, I can’t find them. When I find them, I can’t recognize them. Now I’m seeing things I haven’t seen before. Now I’m dreaming dreams I haven’t dreamt before. Sweet is the burden on my face. The burden of new eyes.